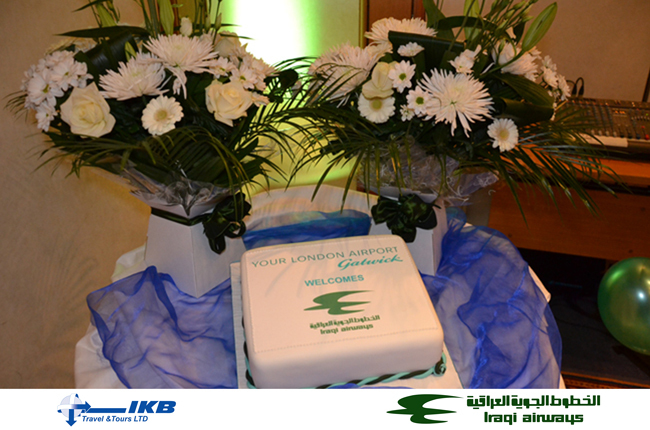 Last night saw Iraqi Airways Historic re-emergence in the UK with their first flight from the UK to Iraq for more than 23 years. 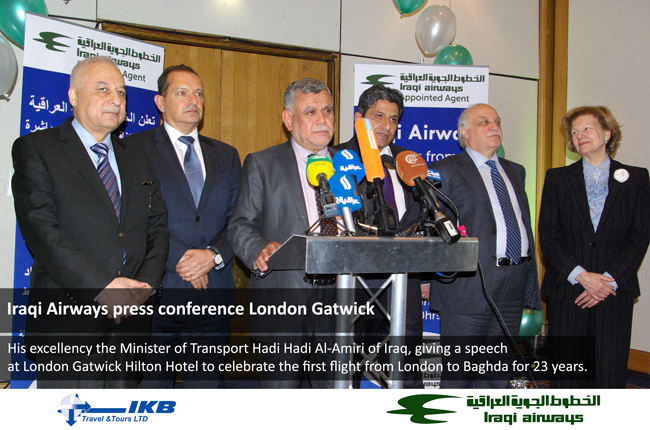 Iraqi Airways brand new A330 aircraft touched down in London Gatwick bringing some of Iraqs most prominent VIP's including the Minister of Transport, his excellency Hadi Al-Amiri, CEO of Iraqi Airways Capt. Saad Mahdi Saeed Al-Khafaji, Dr Fadel Mohammad Jawad assistant to the Prime Minister, the UK Ambassador for Iraq Simon Collis, Mr Imad Burhan Director IKB Travel & Tours and Baroness Nicholson of Winterbourne founder of the Amar Foundation. 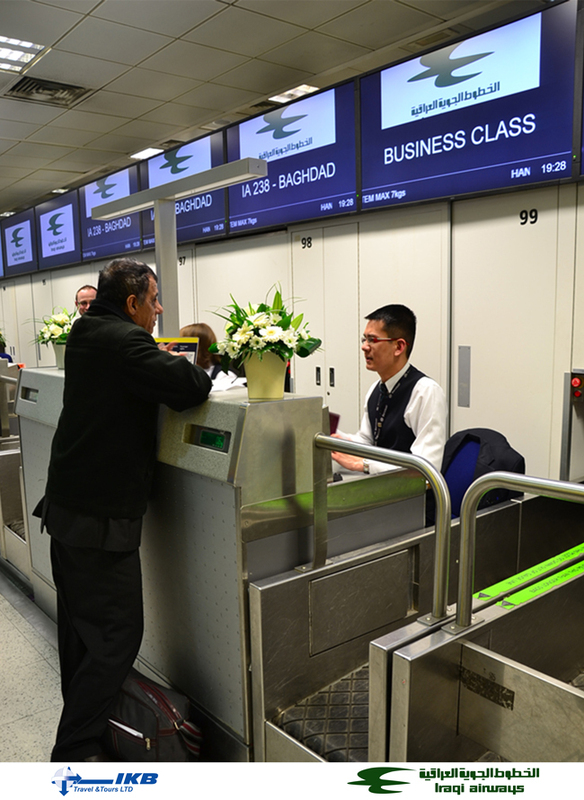 They were met by Matthew Wood, Head of Airline Relations at Gatwick Airport for a ceremonial and presentational event which took place late last night to mark the historic event. 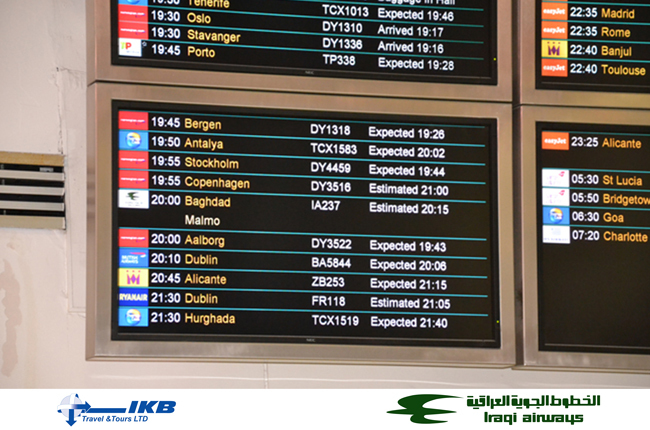 Iraqi Airways will run 3 flights a week. 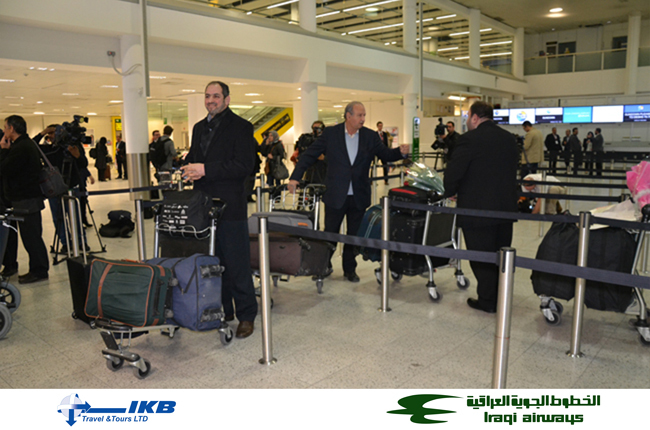 2 of which will be to Baghdad and then 1 from next week 12 March 2013 to Sulaymaniyah.